Childhood disintegrative disorder is rare, poorly understood, and completely terrifying. This rare disorder causes kids to revert to younger versions of themselves—and then stay that way forever. Why? Bernardo Pace, a retired professor of literature, is writing a memoir about his daughter Gina, who has childhood disintegrative disorder. This article originally appeared on Spectrum and is reproduced here with permission. It’s difficult to tell what Gina Pace wants unless you already know what she wants. But sometimes that’s easy, and this is one of those times: Gina wants pizza. “I-buh!” she says repeatedly—her version of “I want.” We all do. We are sitting at Abate’s in New Haven, Connecticut, a town famous for—among other things—pizza and science. Gina and her father, Bernardo, who live on Staten Island in New York City, have made the two-hour drive here for both. The pizza is in the oven. The science is already at the table, represented by Abha Gupta, a developmental pediatrician at Yale’s renowned Child Study Center. Gupta is one of the few scientific experts on a condition that Bernardo and Gina know through hard experience. Gina, now 24, was diagnosed 20 years ago with childhood disintegrative disorder, or CDD. CDD is the strangest and most unsettling developmental condition you have probably never heard of. Also known as Heller’s syndrome, for the Austrian special educator who first described it in 1908, it is a late-blooming, viciously regressive form of autism. It’s rare, striking about 1 or 2 in every 100,000 children. After developing typically for two to 10 years (the average is three or four), a child with CDD will suffer deep, sharp reversals along multiple lines of development, which may include language, social skills, play skills, motor skills, cognition, and bladder or bowel control. The speed and character of this reversal varies, but it often occurs in a horrifyingly short period—as short as a couple of months, says Gupta. In about 75 percent of cases, this loss of skills is preceded by days or weeks in which the child experiences intense anxiety and even terror: nightmares and waking nightmares and bouts of confused, jumpy disturbance that resemble psychosis. (In the 1970s and 1980s, the diagnostic term used for CDD in many countries was “disintegrative psychosis.”) During this anxiety-ridden prologue, known as a prodrome, a child will often seem keenly aware that something is wrong. He’ll say he’s scared. He’ll pace and hold his head and say it hurts. As the increasingly frightened parents watch, he loses speech, motor skills, and most means of social contact. It is as if something is erasing everything he has become. People with CDD, although quite impaired, may retain certain skills and abilities, some more than others. Gina (who was one of those spared an acutely anxious period before her onset), for example, walks well, skillfully rides a bike, listens to and generally minds directives, dresses herself, has no trouble eating, and suffers none of the bathroom issues that plague many people with the condition. With a little help, she sometimes reads books written for fifth-graders—a reading level far above what her general language and intelligence assessments would predict. Although she rarely speaks more than two words in a row, Gina is lightning-fast at word-search puzzles. Gina needs constant care and accommodation, and she always will. She has a hearty appetite and little sense of restraint with food. As a result, she is a bit heavy, and Bernardo worries about a heightened risk for type 2 diabetes. Gina generally respects others’ space, but sometimes, eager to get your attention or to emphasize a point, she may grab your forearm with a strength and urgency that some people might mistake for aggression. There seems to be much she doesn’t understand and far more she can’t convey: Her inner life remains obscure even to Bernardo. At 24, she stands little chance of learning new skills or even recovering those she had when she was 3. Bernardo knows this. He is not here hoping that Gupta and her colleagues can spark some breakthrough in Gina’s development. He knows that Gina’s condition is rare enough that she may reveal as much about the diagnosis as the diagnosis reveals about her. The two of them have come to New Haven to let Gina see a bit more of the world, to perhaps glean some small but useful insights from Gupta. By surrendering his daughter to a series of behavioral, cognitive, neurological, and genetic evaluations—quizzes, puzzles, brain scans, blood draws—he hopes to give Gupta a chance to understand this confounding condition and its utterly mysterious biology. The pizzas arrive, and as Bernardo doles out slices, we talk about Italy, wine, science, life, and Gina. Bernardo, 61, who retired a month ago, tells us he is thinking of building a wood-fired pizza oven in his backyard. He often interrupts himself to respond to Gina, who is alternately quietly absorbed in her food and vocally interested in others’. “Gina, there’s plenty of pizza,” Bernardo reassures her. He asks us not to offer Gina our slices, because if we do, Gina might start helping herself not just from our plates but also from those of diners at other tables. “It’s happened,” he says, smiling. Pace is Italian for peace or tranquility, and Bernardo manages to retain his as he juggles all this. Perhaps taking their cue from him, patrons at nearby tables seem to accept Gina’s fidgety, sometimes loud presence with equanimity. I ask Gupta how she came to study CDD. For its mysteries, she says. Primarily, she means the mystery of regression. CDD is not the only subset of autism in which children regress. The most thorough review on this topic found that about one-third of all people with autism appear to experience some regression before their diagnoses— a small but significant loss of attained skills or abilities, rather than just a slowing of progress. But estimates vary depending on how parents or clinicians define “regression.” When measured by a more objective benchmark, such as documented loss of language, the regression rate drops to the midteens. Regression in CDD is not just later than in classic autism, but uniquely severe. When it comes fast as well, it can be terrifying. In her talks, Gupta shows a video of an 8-year-old boy with sandy blond hair in a terror-filled prodrome. The boy moves in a hopelessly agitated state around his family’s house, raising his hands to hold his head or his face, then lowering them, again and again, as he paces and says he is scared. He cannot stand still. Finally, he bolts out the front door. The boy stayed in that acutely agitated state 20 hours a day, seven days a week, for a full month. “No idea what was bothering him; he couldn’t say,” says Julie Wolf, a Yale psychologist who saw this boy several times over the years (and who will evaluate Gina during her Yale visit). A few weeks after the video was taken, the boy’s language began to fade, as did the bright, funny, socially active, curious person he had been. In a video taken nearly three years later, he sits on a rug looking blankly at the camera. Aside from its late and often intense onset, CDD presents much like other cases of autism that feature profound social and cognitive impairment. But to Gupta and others at Yale and elsewhere who study CDD, the speed, intensity, and depth of its regression make it a good place to look for neurobiological or genetic dynamics that might tell us something about autism in general. How, biologically, is so much lost so quickly? Even though CDD is essentially “the first autism,” described by Theodor Heller three decades before Leo Kanner defined autism, scientists know almost nothing of how it develops. Studying autism by looking at CDD, autism’s sharpest, most dramatic form, say Gupta and her collaborators, is like studying running by observing Olympic sprinter Usain Bolt: The extreme can inform the norm. Unfortunately, Gupta tells us, this research is endangered, because in 2013 the American Psychiatric Association dropped the CDD diagnosis from its statistical manual, the DSM-5, absorbing it into the manual’s broadened definition of autism spectrum disorder. This muddies the path for people who have CDD or study it. CDD is a diagnosis of exclusion, often made only after parents have taken their children to multiple specialists who look for infections, brain inflammation, tumors, blown blood vessels, and other physical causes. The loss of the specific diagnosis may lead clinicians to mistake the panicky prodrome as brain inflammation or psychosis—and leave parents in the dark that much longer. Just before Christmas of 1994, when Gina was 2, she got on a plane with her parents and her 6-year-old sister, Sonia, and flew to Rome, where Bernardo had snagged a one-year Fulbright fellowship teaching American literature and history. 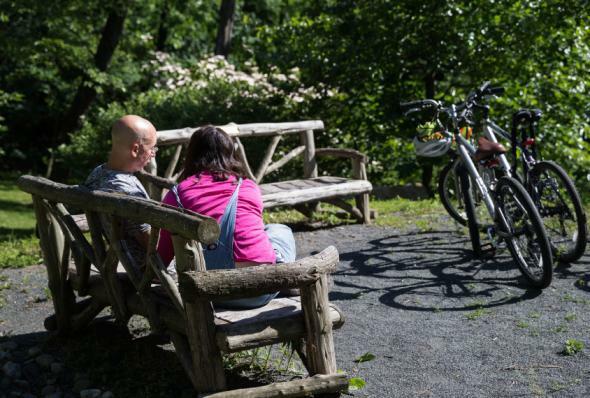 In this new city amid new people and a new language, Gina’s regression, slower and more subtle than in many cases of CDD, didn’t register with her parents at first. Gina had hit all of her milestones and, like the rest of her loquacious family, talked fluidly and fluently. The first sign, at least in retrospect, was a reticence, he recalls in the memoir, that Gina hadn’t been displaying as she blossomed through her second and into her third year: “a little less eye contact … a little less chatter, a little more pointing.” In the stroller, rolling around Rome, she sometimes sat quietly upright, not relaxed, her eyes fixed forward. For a time, these changes seemed explainable by their move to Italy. Her older sister was in school full time, while Gina went to preschool just three days a week. It didn’t seem odd that Gina had few friends over and tended to play quietly alongside them. Gina had fewer friends than did her older sister and gradually became quieter. Yet by October 1995, when Gina was 3, both her parents were shocked but not exactly surprised when a teacher said she thought Gina might have autism. 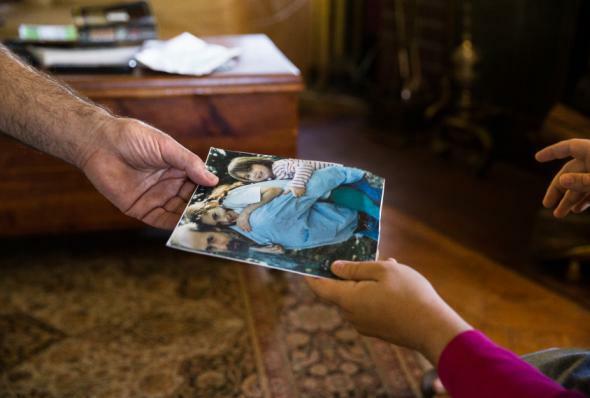 Six months later, after the family moved back to the United States, a specialist in New York agreed—“She was emphatic about it,” says Bernardo—and suggested they see Yale’s Fred Volkmar, a leading expert, then and now, in obscure developmental disorders, including CDD. Gina, now 4, was far behind where she’d been a year before. Volkmar told them she had CDD. The morning before our dinner at Abate’s, Gupta had tried to coax Gina into a brain scanner so she could record Gina’s brain-activation patterns as she viewed faces and objects. Structural brain scans have so far found nothing physical that distinguishes the brains of people with CDD. But as part of the research in which Gina is participating, a long-running study of about 30 people with the condition over the past 30 years, Gupta is trying to see if people with CDD show any distinctive patterns of brain activation—that is, in the way the brain works. Unfortunately, when she asked Gina to climb into the scanner—a noisy, narrow tube—Gina declined. “She bolted, actually,” says Gupta good-naturedly. Now, on the second day of testing, Gupta is hoping things will go more smoothly. The morning’s schedule calls for some cognitive and social-skills testing with psychologist Wolf, then a blood draw so that Gupta can look for any genetic distinctions that might help explain CDD. 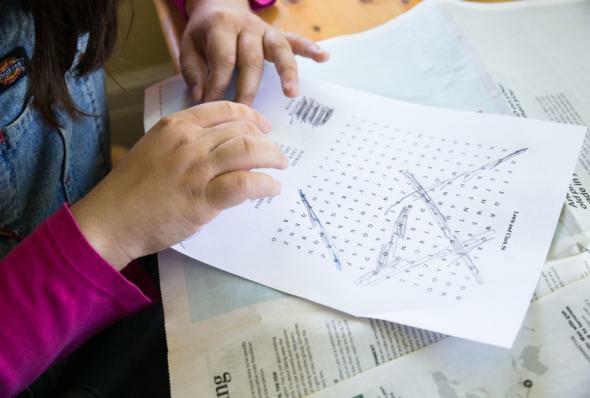 The skills testing—well-established assessments called the Differential Ability Scales and the Autism Diagnostic Observation Schedule, about 90 minutes altogether—is first. The blood draw will come last; Gina, like many people, does not like needles. For days, Bernardo has been gently preparing Gina for the blood draw. He has shown her pictures of how blood is drawn, promised a reward at lunch, and established that Daddy will have his blood drawn first, three vials of it, to demonstrate that it doesn’t last long or hurt too much. By the time I meet them that morning at the Child Study Center, Bernardo is wondering if maybe he has oversold the procedure. Gina, dressed brightly in pink jeans and a pink tank top over a long-sleeved T-shirt, keeps asking to see the schedule. Every time she looks at it, she taps the soft, pale skin inside her elbow, then types “Blood Noon” on an app on her iPad, which voices the words: “Blood. Noon.” Then she resumes nervously pacing the room. Finally, someone fetches us and leads Gina and Bernardo to a testing room, where Gina sits across a small table from Wolf. Bernardo sits behind Gina, while Gupta and I watch from an adjacent room through one-way glass. Wolf exudes a calm, intelligent warmth, to which Gina responds by giving prompt responses to Wolf’s questions via her iPad app. She goes off-task only to occasionally tap the inside of her arm and type out “Blood Noon” again, and twice, when Wolf pulls supplies from a drawer and leaves the drawer open, Gina gets up and walks clear around the table to close the drawer properly. 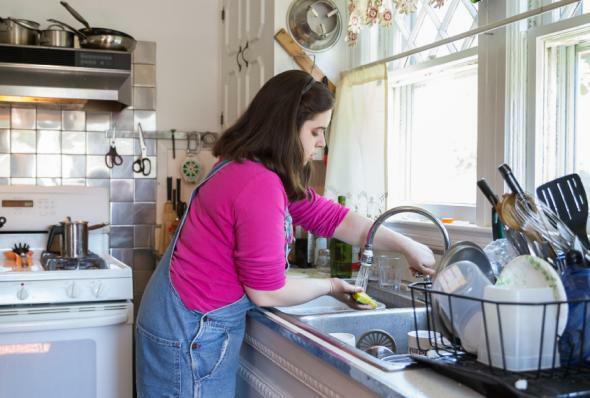 Although Gina has childhood disintegrative disorder, she can do many things for herself. Gina’s social skills are impressive compared with those of most people with severe autism, according to Wolf. She makes a fair amount of eye contact, and she reliably follows Wolf’s gaze to locate an object when Wolf looks at it. And she kills the math. Gina, facing a multiple-choice list of possible answers to double-digit arithmetic problems, can “solve and select the correct answer … faster than the examiner was even able to read/process what was written on the screen,” Wolf later writes in her report. But the morning’s evaluations also reveal how trying Gina’s life can be. In verbal comprehension, vocabulary, and matching pictures, she performs like a typical 3-year-old. She copies or constructs foam-block patterns like a 4-year-old. She readily recognizes objects identified by name (“Give me the cat”) or category (“Give me all the pets”) but cannot identify objects described by prepositions (“Give me the cat that’s behind the barrel”)—an ability usually present by age 4. In the section of the report listing age equivalences, Gina’s all fall between 2 and 4—the ages during which her CDD emerged. “Blood Noon” does not go well. Gina and Bernardo are both tired by then, and because the vein-prickers are running behind, an anxious and increasingly hungry Gina must wait a full half-hour. Finally, the receptionist calls her name. Bernardo, Gina, and two technicians crowd into the phlebotomy room. I watch from the doorway. At the far end of the narrow room, Bernardo sits in a chair and rolls up his sleeve. With Gina looking on, Bernardo gives up three fat ruby vials. When Gina’s turn comes, she moans, a rising pitch of anxiety, but lets herself be seated, and then lets her arm be held and turned pale side up, swabbed with alcohol, and tied with a tourniquet. She moans louder when the tech inserts the needle and removes it to tape the cannula into place, louder still when the tech snaps on the first vial. Yet she stays put. Bernardo, talking with her steadily, stands and relaxes just a bit. The first vial fills. But just as the tech snaps on the second vial, Gina says something loudly, lunges out of the chair, inadvertently knocking Bernardo smack back against the wall 2 feet behind him, and makes a break for the door. Bernardo is with her in two quick strides. After saying goodbye to the Gina and Bernardo, Gupta and I run into Wolf, who has just finished scoring Gina’s evaluations. Her brief description of the results—Gina as a 2-to-4-year-old, which somehow does not seem quite right to either Wolf or Gupta—inspires a discussion between them about one of CDD’s most unsettling puzzles: Among the apparent erasures in CDD’s cruel reversal, what remains? Wolf and Gupta both say many people with CDD have assets that standardized autism screens do not reveal. Gina’s language skills seem beyond the 3-year-old level the test perceived. Ditto with the fast math, the solitaire, the word-finding puzzle prowess. And with the connections of trust and comfort she makes with people such as Wolf, Gupta, and me after knowing us for only a few hours. The 8-year-old boy in Gupta’s video is now in his teens and also speaks mainly in two-word phrases. “Then all of a sudden he’ll be like, ‘No, I don’t want to do that,’ ” Wolf tells us. Are his and Gina’s skills truly gone, Wolf and Gupta ask, or just obscured, like memories we can’t recall? Gupta, Pelphrey, and the many collaborators on this CDD study face a difficult problem: They’re studying a condition about which science knows almost nothing. The very things that distinguish it—its severity, rarity, and opacity—make it ludicrously hard to study. This is science at its earliest, most difficult, and most confounding. It’s mostly bumping into strange shapes in the dark and trying to figure out what they mean. The study draws together data from psychological and cognitive testing, family histories, eye tracking, genetic analysis, and brain imaging in more than two-dozen people with CDD. Progress has been slow, they explain, partly because, like Gina, few people with CDD can lie still in scanners or tolerate blood draws. It has also taken time because Gupta and Pelphrey kept finding things that defied their expectations. “There was a lot of ‘This can’t be right … ’ ” says Pelphrey. Given CDD’s severity, for instance, they had hoped to find a few powerful genes at fault but did not. They had thought they might find brain activity disrupted in ways characteristic of the severest cases of classic autism but did not. In general, they had thought they’d find the underlying neurobiology of an especially debilitating sort of autism. They did not. Instead, says Pelphrey, their findings suggest a fairly typical brain—that is, the brain of a person without autism—with key processes halted at, or perhaps pushed back to, early developmental stages. In eye-tracking studies, for instance, he and Gupta had expected people with CDD to scan faces much as most people with autism do: by paying more attention to the mouth than to the eyes. Instead, the participants with CDD scanned faces as typical infants do between 4 to 12 months of age, according to one leading model of face processing. Although Gina rarely speaks more than two words in a row, with help she can read books written for fifth-graders. This theory holds that between about 4 to 6 months, an infant moves from one way of looking at faces to another. Baby-eye-gaze geeks call these stages of gaze during infancy “conspec” and “conlern”; we can think of them as “eyes-only” and “eyes-plus.” In the eyes-only stage, up to 4 to 6 months, a baby looking at a face looks almost solely at the eyes. In the eyes-plus stage, which begins after 6 months, the baby still looks frequently at the eyes but also begins glancing quickly elsewhere around the face, presumably to collect social information. The participants with CDD looked at eyes as if they were infants who were just starting to use the eyes-plus mode; they still devoted most of their attention to the eyes. People with autism generally follow neither of these patterns. They give the eyes no more attention than they give to the mouth, nose, or hairline. The gaze of the CDD participants suggests not a loss of social interest, but a return to an earlier form of facial and social processing. What does this mean? Pelphrey and Gupta’s answer is essentially a prolonged head-scratch; they can only speculate that some developmental pathway devoted to reading faces has suffered a big reversal. That’s just one small study, of course. (Only five of their 25 participants would sit still for eye-tracking.) Gupta and Pelphrey might have ignored it if their brain-imaging work did not also suggest that people with CDD are more like neurotypical infants or toddlers than like adolescents or adults on the spectrum. For instance, when seven of their CDD participants got in the brain scanner and looked at faces versus houses, their brain activity more closely resembled that of typically developing children between 1 and 3 years of age than that of people on the spectrum. This finding too suggests that specific developmental reversals may be at work in CDD. A third stream of data, from genetics, seems to point the same way. In an analysis of 15 participants with CDD, Gupta found that 14 carry rare mutations in one or more of 40 genes. The genes stand out for three reasons: They have never been linked to autism; they are expressed not in brain regions usually associated with autism, but rather in those Pelphrey found altered in brain scans of people with CDD; and postmortem studies of gene expression have shown that 11 of the 40 genes surge in activity in those areas between ages 3 and 8—the period during which CDD usually emerges. These results seem to support the idea that mutations in these genes contribute to CDD’s emergence—and perhaps to the reversals Gupta and Pelphrey found in their eye-tracking and brain-scanning studies. Gupta looks pained as she acknowledges that with so few people studied, these findings are merely suggestive. Yet she and Pelphrey say their results strongly support the idea that CDD is a distinct sort of autism with unique biological underpinnings and that it’s important to follow these new clues about what may be going amiss. As it happens, the deeper biological investigation that Gupta and Pelphrey propose would constitute a return of sorts to CDD’s beginnings. In the decades after Heller wrote up CDD, most scientists thought the condition arose from some biological anomaly. When the crude tools of that time found nothing biological, theory and research moved elsewhere, but with little effect. Now, with new tools and these new clues in hand, Pelphrey and Gupta may be able to follow strands of biological evidence that simply weren’t visible before. Bernardo thinks a lot lately about how and where Gina will live when he is gone. Bernardo’s father is in his 90s, and Bernardo himself is quite fit at 61, so that day may be slow in coming. Yet increasingly it presses on his mind. Where, for instance, will Gina live? Wolf’s report, arriving a few weeks after Gina’s testing, recommends that Bernardo start looking for a good residential placement where Gina can learn to manage relationships with people other than family members while she still has Bernardo to lean on. Bernardo was already working on this. Gina spends 35 hours a week in an adult day program at Eden, a school near their home on Staten Island for people with developmental issues. A board member at the school, Bernardo hopes to persuade state, city, and private benefactors to help build a residential center for women with disabilities along the same lines. In the here and now, he has other worries. As connected as he is to Gina, he often wonders about his daughter’s inner life. Does she experience the gap between herself and others as something painful? What do those findings of Wolf’s mean? Can it really be that Gina does not recognize prepositional relationships? If she can’t perceive “the cat behind the barrel,” can she also not perceive “the father who stands beside her”? Two days after I saw Bernardo and Gina in New Haven, I joined them at their home for lunch and a bike ride. Gina was noticeably more relaxed, and after a delicious lunch of pasta and homemade wine in their charming yellow house, we extracted bikes from their backyard shed and took off to visit Snug Harbor, a park a couple of miles away. Bernardo, leading, kept an eye on Gina with a rearview mirror on his handlebar. Gina, in front of me, tailed Bernardo at a steady distance. 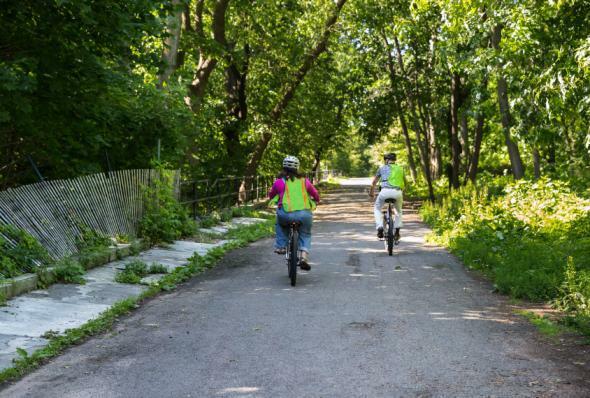 Following in her father’s wake, Gina bicycles confidently near their Staten Island home. This was worrying to watch. We rode part of the way in the street, with the occasional car passing us. But Gina looked as engaged, confident, and secure as I had yet seen her. She tracked Bernardo perfectly, staying in his jet trail, following his path and his example, avoiding obstacles fixed and moving. She clearly took much strength and safety from the father who rode before her. The only question is whether she can get that from others someday.